alaTest har samlet og analyseret 1703 anmeldelser fra magasiner og hjemmesider. Mange kan virkelig godt lide udskriftskvaliteten. Også støjen imponerer, men kontrolpanelet værdsættes ikke af anmeldere. Gennemsnitligt vurderede brugere dette produkt til 83/100 og eksperter vurderede dette produkt 70/100. This digital-LED printer is a low-cost color laser printer in all but name. Toner cartridges last a long time. Despite being a single-function printer, it's big and heavy. Laser printers aren't great for color photos. Setup without a touchscreen is a pain. The Brother HL-3170CDW color laser-class (LED) printer offers good speed and adequate print quality for an inexpensive purchase price, plus, its toner costs are reasonable. However, users seeking better output quality should look at a business inkjet. The Brother HL-3170CDW boasts office-friendly features like automatic double-sided printing, wireless and wired networking options, a generous monthly duty cycle, and two separate trays for standard and thicker-than-average paper. The photo quality lacks detail and the fixed control panel can be awkward to operate. Despite its photo printing shortcomings, the Brother HL-3170CDW is a capable color laser printer that meets all the major requirements for a small office workgroup. The Brother HL-3170CDW delivers fast speed, good paper handling, and support for mobile printing. Sub-par text and photo quality. 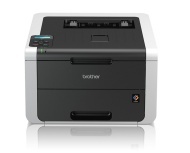 The Brother HL-3170CDW makes quick black and color prints with decent quality and an attractive price tag to match. As long as you're not using it to jump-start your photography business, the HL-3170CDW won't disappoint. The ; boasts office-friendly features like automatic double-sided printing, wireless and wired networking options, a generous monthly duty cycle, and two separate trays for standard and thicker-than-average paper. At just £240.00, Brother's HL-3170CDW is a good entry-level laser printer for home users or small businesses that need to step up from an inkjet printer. Read our full review of the Brother HL-3170cdw Digital Color Printer offering small businesses a low cost alternative to office AIOs.